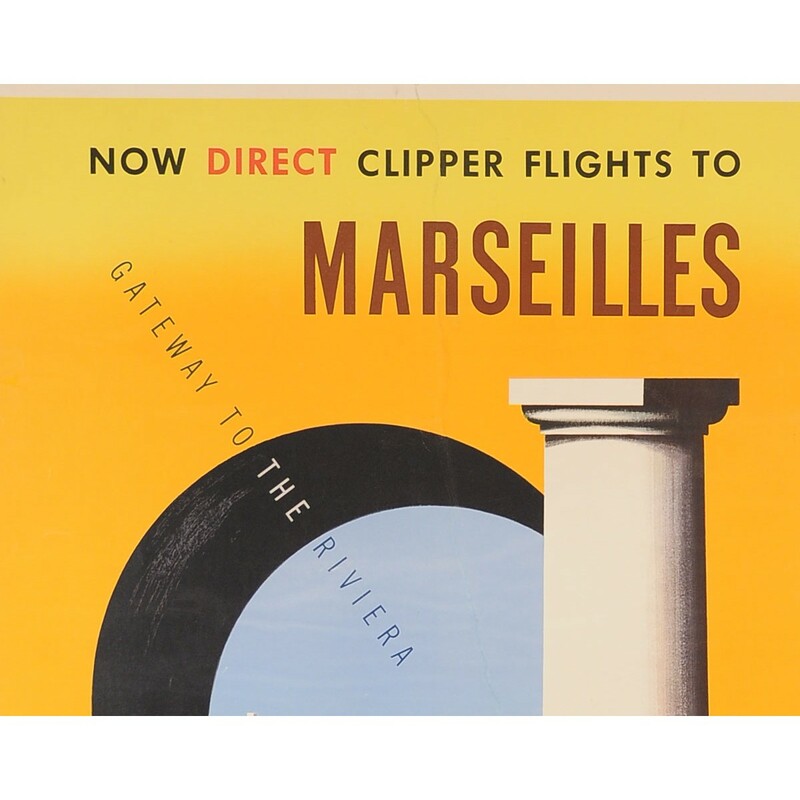 The "Gateway to the Riviera" is now accessible via the Pan American "Clipper." Who wouldn't choose the clipper for savvy transportation? 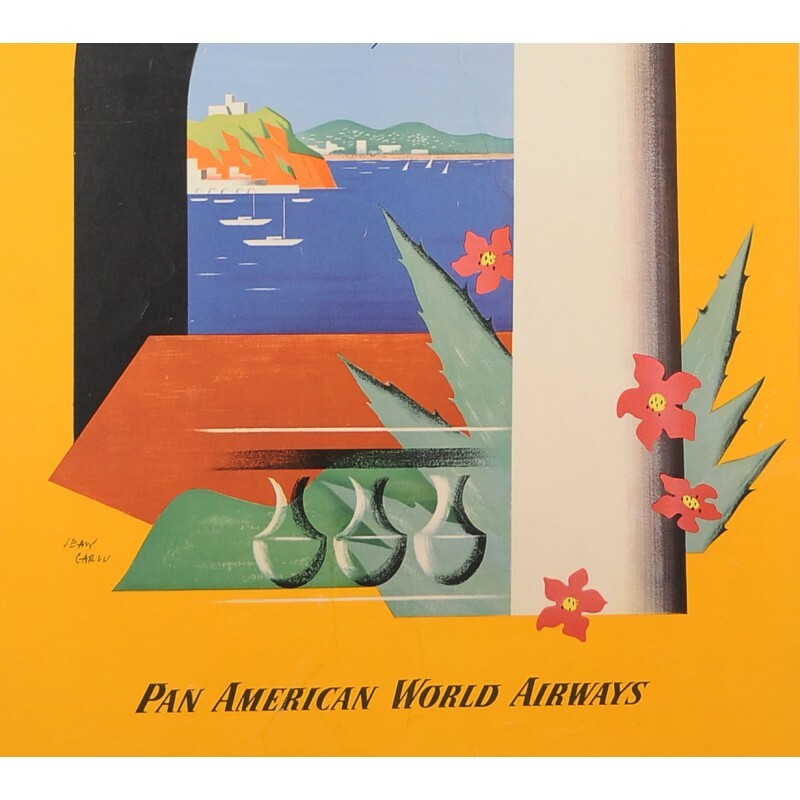 A beautiful poser (1949) by Jean Carlu. 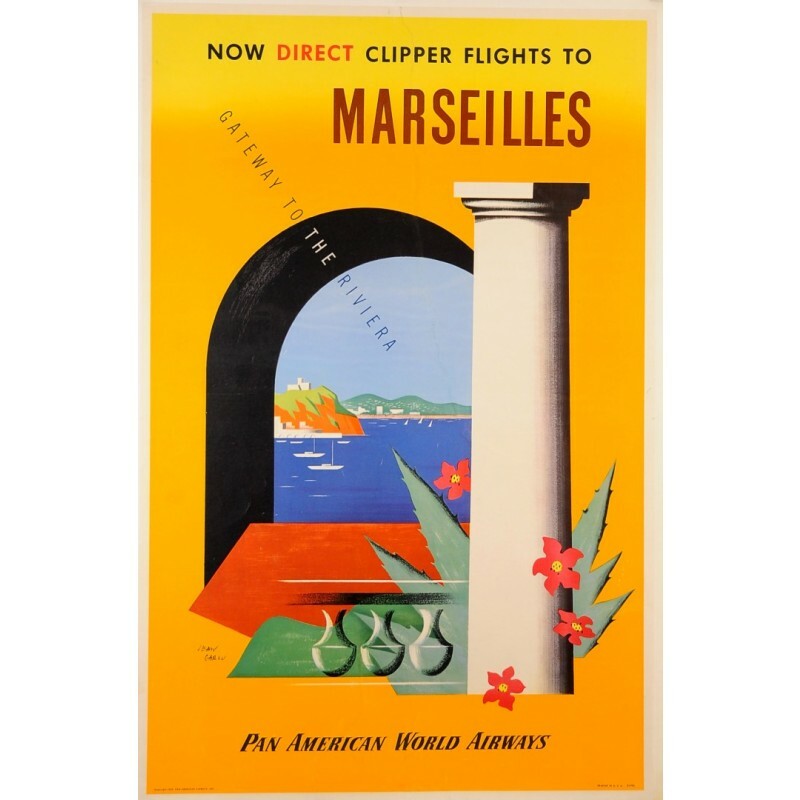 Carlu (1900-1997) was a French graphic designer-artist who worked with one arm as he lost his right arm in a tramway accident at age 18. His fondness for cubism drew him to the Art Déco where he excelled.